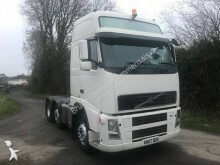 The tractor unit, not to be mistaken with a farming tractor, is a vehicle equipped with a fifth wheel that tows a semi-trailer. 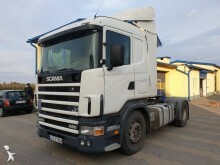 It is part of the heavy vehicle category. 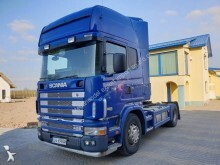 The vehicle made of a tractor unit and a semi-trailer is called “tractor-trailer”. Tractor units are often used for long distance transport because they tow semi-trailers with important loading capacity, which is economic. 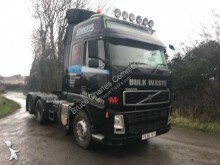 Some tractor units are specially designed for hazardous substance transport (ADR) or for overzise loads when towing a vehicle carrier semi-trailer. 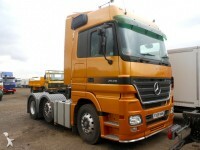 A tractor unit can be equipped with a loader crane to facilitate the freight loading and unloading on the semi-trailer. 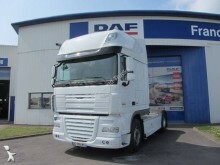 Tractor units are equipped with axles that support the load of the semi-trailer. 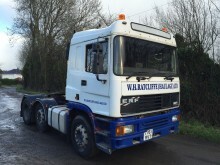 For a tractor unit with 4×2 or 4×4 axles, the maximum permitted weight of vehicle when loaded is 19 tonnes. 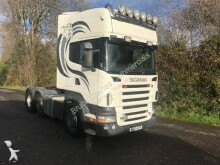 For a tractor unit with 6×2, 6×4 or 6×6 axles, the maximum weight permitted is 26 tonnes. 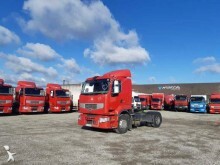 Finally, for tractor unit with 8×4 axles, the permitted weight is 32 tonnes. 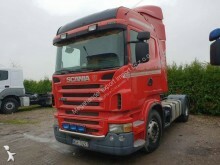 The tractor unit speed limit is 90km/h. 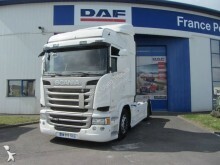 Often equipped with a diesel engine with turbocharger, the tractor units sometimes have an all-wheel drive. 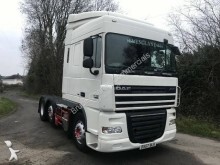 There are two types of cabs for tractor units: cab-over or conventional cabs. 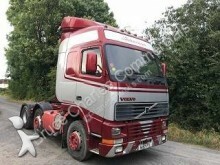 The cab-over tractor units, when the engine is under the cab, are the most widespread configuration in Europe. It can tip or be fixed. 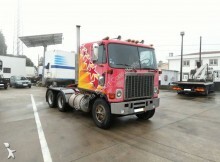 The conventional cab is widespread in the USA where roads are larger and where the size of articulated vehicles is less strict. 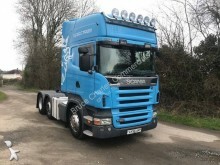 Tractor units with “hood” cabs such as Freightliners or Scania Torpedo give the driver a better or bigger living space, which is great for long distance trips. 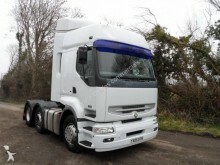 The first tractor unit on the market was by Renault in 1923, before being equipped with a brake servo in 1925. 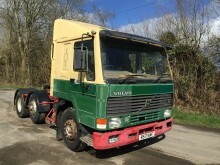 Next, every important make offered tractor units. 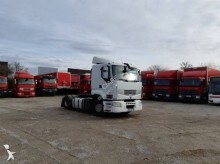 For 2000, Planet-Trucks offers plenty of ads for used tractor units by Renault Trucks, DAF Trucks, Scania, MAN AG, Volvo Trucks, Mercedes-Benz and Iveco. 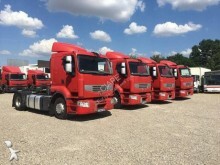 Take a look at our used semi-trailer ads.